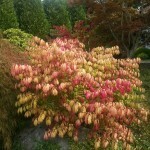 It’s that time of the year for us in the northern hemisphere when it’s evident Nature is changing. As I watch the trees and shrubs begin to change colors, it reminds me of the changes I want to make in order to honor my Spirit, my Essence, and Who I really am! Recently I noticed I needed my own services of a Stress Relief Specialist! As a Stress Relief Specialist, my focus is on supporting people have more ease, joy and a foundation of inner calm in their daily lives. Lately, I’d started putting more and more on my “plate.” It’s all good stuff, but without giving myself any real “down time” that is so essential when there is so much going on, I started well….feeling stressed! OMG! 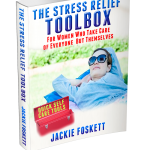 The Stress Relief Toolbox: For Women Who Take Care of Everyone But Themselves! 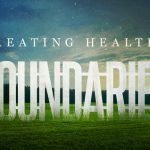 One of the tools/practices I teach is about setting healthy boundaries. Saying YES to YOU, NO to others or other things that can be draining or take too much time, in order to have less to juggle and struggle with. I’ve been saying “YES” to so many other things, I’ve been neglecting saying “YES” to just “doing nothing” or indulging in simple pleasures. Having some “do nothing” time is not a luxury. It’s essential for our neurology-to support our brains to work best. It’s essential for our biology-to support our bodies in functioning optimally. It’s essential for our Spirit-to support us in the feelings of being connected to LIFE! And in short: it’s essential to our overall well being and happiness! Playing games with your children-from a place of fun, not obligation! Romping with your dog or playing with your cat. This doing nothing phenomena is something we grown unaccustomed to in our culture. A Change of perspective is needed. Nothing like Mother Nature’s changing of the seasons to bring that to the present! It may be just the right time to let go of those things that are feeling weighty and more burdensome now-just like the trees change colors and let go of their leaves…. It’s about giving yourself permission for some “me” time to restore, renew and refresh yourself, so you can be your best self-in mind body and spirit! 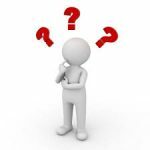 What I’ve discovered and so many of my clients have as well, when we give ourselves that “down time” we allow our creative juices to flow, issues to percolate down to solutions without “forcing” or pushing. We are open to the natural, almost magical answers that can’t come when our minds are so busy being occupied. Back to me needing a stress relief specialist: I have one already-the resources are within me, as I’ve learned lots of tools along the way. I realized I just needed some connecting time, that “do nothing” connecting so I could feel the space and find my own solutions. I needed to make some changes, just as I see Mother Nature doing right now. She’s preparing for a time of more quiet, which really is that time when deeper processes are happening, energy is being directed to the makings of new growth in the spring. This is what I declare is happening now for me! Are you tired of the running endlessly like that hamster on her wheel? If so, I’d like to invite you to join in with me, as I facilitate a 6 session Stress Relief Toolbox online program that will support you in having not only more “me” time, but in having effective tools to get you out of stress mode and back into clearer thinking and feeling mode. This program will provide the foundation of having those healthy boundaries in place, so you no longer need to say yes to more on your plate and no to you, instead, your new perspective will be YES to your own peace of mind and NO to piling on too much “stuff” on your plate. 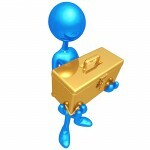 The 6 Session Stress Relief Toolbox Program begins October 4th. Learn more: all about what you’ll experience, the bonuses you’ll receive and what else you can expect right here!